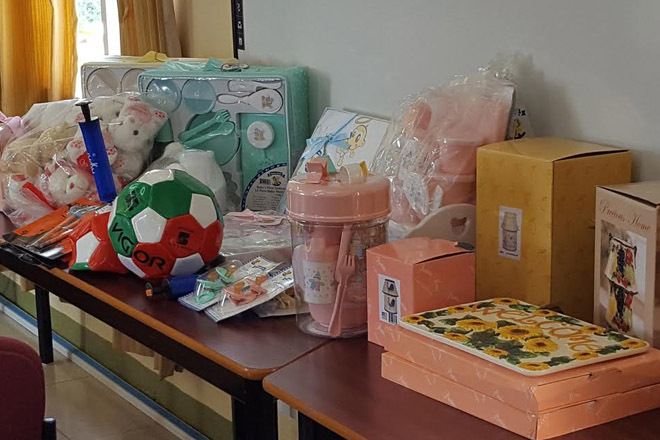 (SKNIS): The Republic of China (Taiwan) has once again lent its helping hand, through the charitable organization SimplyHelp, to donate a number of items to the Ministry of Education that will benefit children in need. The items were symbolically handed over to the Ministry of Education, who will in turn distribute them to charitable organizations including churches. “My government is pleased once more to partner with Taiwan and SimplyHelp,” said Deputy Prime Minister and Minister of Education, Honourable Shawn Richards, adding that this is the second time the organisation has donated one container full of goods for the citizens of St. Kitts and Nevis. He said that the value of the donated supplies will be seen not in its monetary value, not by the many smiles on the faces that they will bring to the children but by the way the items are used by the recipients. The minister of education added that some of the items will be useful for the effective Early Childhood Outreach Simulation (ECOS) programme, which is a culturally responsive, community based, early intervention programme that caters to the holistic development of the children who are poor and vulnerable. “This kind of partnership is a wonderful example that our partner countries, international organisations and the private sector can work together to help to minimise the effects of poverty by building capacity through early interventions,” said the Deputy Prime Minister. SimplyHelp is a non-profit organization based in Los Angeles dedicated to relieving poverty by providing emergency disaster relief, vocational training, and shelter and care for homeless elderly. It is active in 23 countries with a strong presence in Central America and South East Asia since 2000. SimplyHelp was formed in 2000 by founder and president, Tina Bow.